Enhance your home and garden decor with a dog welcome sign! 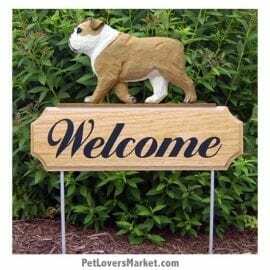 Show your love for favorite dog breeds with welcoming dog statues / garden stakes. A dog welcome sign is a perfect addition to your dog decor. 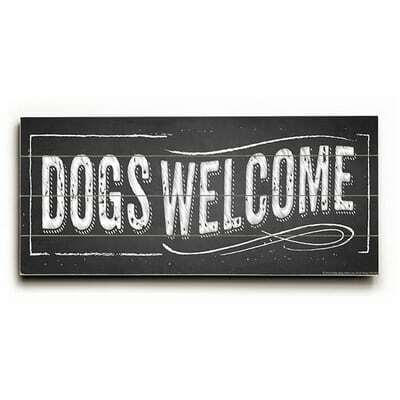 The dogs welcome signs are individually and expertly handcrafted. 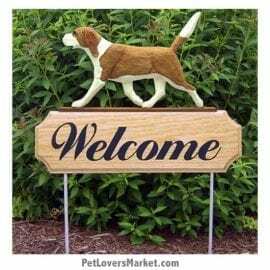 Dog welcome signs are designed with solid oak and hand-painted resin. 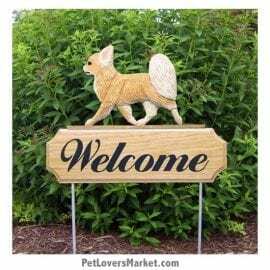 What better way to embellish your home and garden decor. Let the world know “dogs welcome” in your home or business with a dog welcome sign. 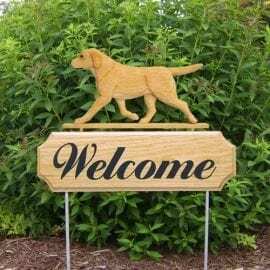 The dog welcome signs are part of our collection of garden accents, outdoor accents, unique garden statues, garden statues online, garden stake decor, outdoor home accents, unique garden decor, and outdoor home decor. 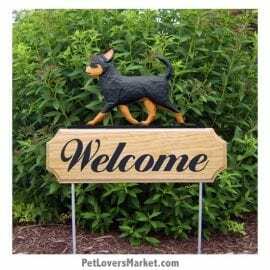 Dogs welcome signs can be custom-made to feature any dog breed you wish. PLEASE NOTE: If you don’t see the DOG BREED you want, please contact us, and we’ll do our best to find it for you. 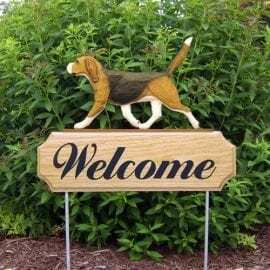 Not all of our dog signs are currently online.